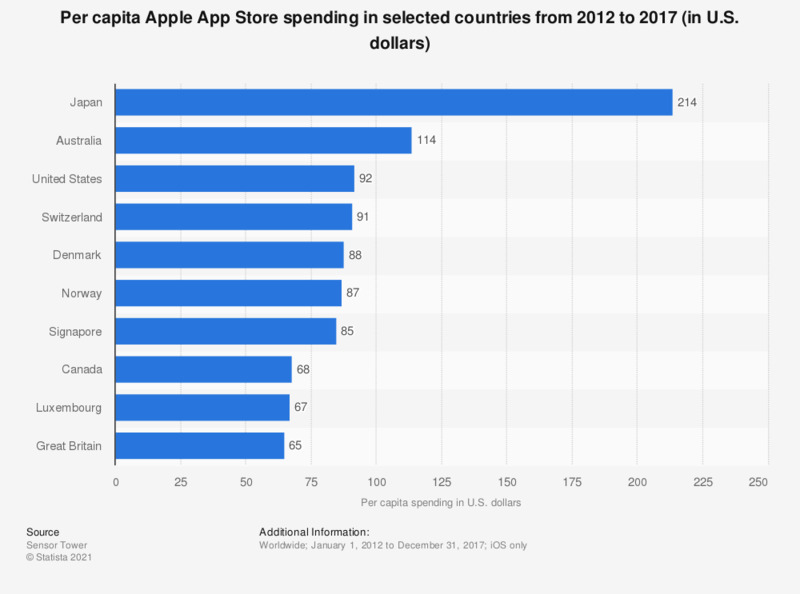 This statistic presents the per capita Apple App Store spending in selected countries from 2012 to 2017. According to the findings, Japan was ranked first with a recorded per capita spending of 214 U.S. dollars on iOS apps during the measured period. Australia was ranked second with 114 U.S. dollars in per capita spending.